Reading Information, Advice & Support Service for SEND (Reading IASS)- The service was formerly called the Parent Partnership Service. It offers free confidential and impartial advice and support to Reading parents and carers who have children (up to the age of 25) with special educational needs or disability. We also support Children & young people. Reading IASS for SEND provides information advice and support to parents and carers of children and young people (aged 0-25) who have special educational needs and/or disability (SEND). This service is also offered to children and young people. We can also help if you are finding secondary school admission difficult, even if your child has no SEND. 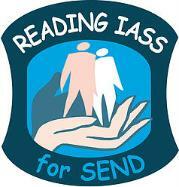 Reading IASS for SEND provide an impartial service, operating at arm’s length from Reading Borough Council and educational settings. Can I get help from Reading IASS? Reading IASS can help parents, carers, children and young people to get their views heard.